We all know that our film stars don’t just shine on the silver screen but also dazzle in various other ways in real life when they lend their helping hand to the needy. There are quite a few examples and the list is an endless one. Recently our neighboring nation Nepal was at the receiving end of Mother Nature’s fury when it suffered a major earthquake. The Indian government sprang into action and helped the people of Nepal in slowly getting back to normal life. Our own Ilayathalapathy Vijay who is known for his benevolent activities had also come forward to do his bit by sending medicine and clothes worth Rs ten lakhs through his Vijay Makkal Iyakkam. A much-needed act and hats off Vijay. Huge respects! What if Mankatha had 4 leading stars? The unstoppable box-office force, that is Kanchana 2 !!! Who is directing Megastar Chiranjeevi's 150th film? 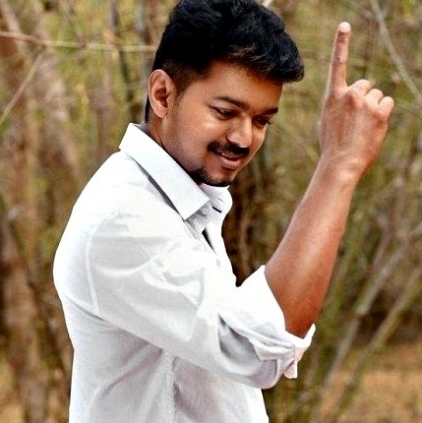 Will Ilayathalapathy Vijay Act In A Horror-comedy Film? The Thala Ajith - Ilayathalapathy Vijay Connection In Nayanthara’s Next !!! People looking for online information on Ilayathalapathy Vijay, Ilayathalapathy Vijay Nepal, Vijay helps the quake affected people of Nepal, Vijay Makkal Iyakkam will find this news story useful.